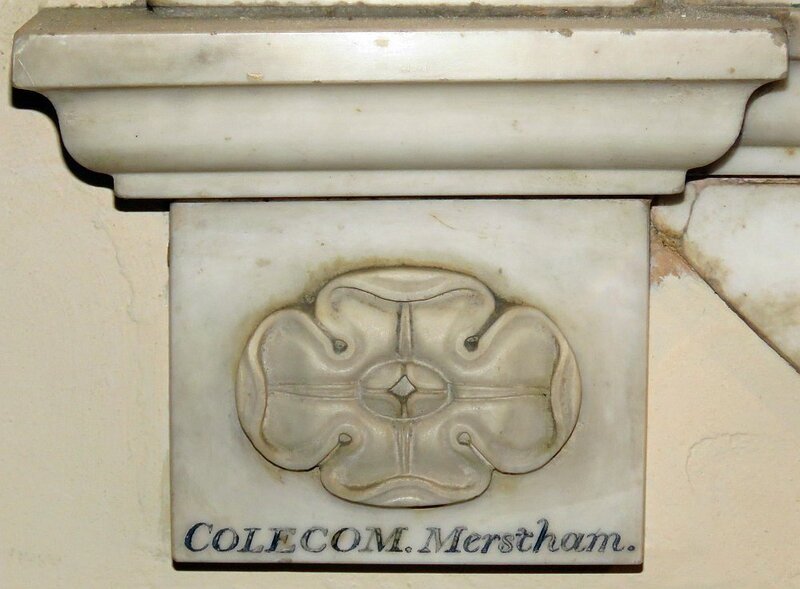 Panel by Colecom of Merstham . 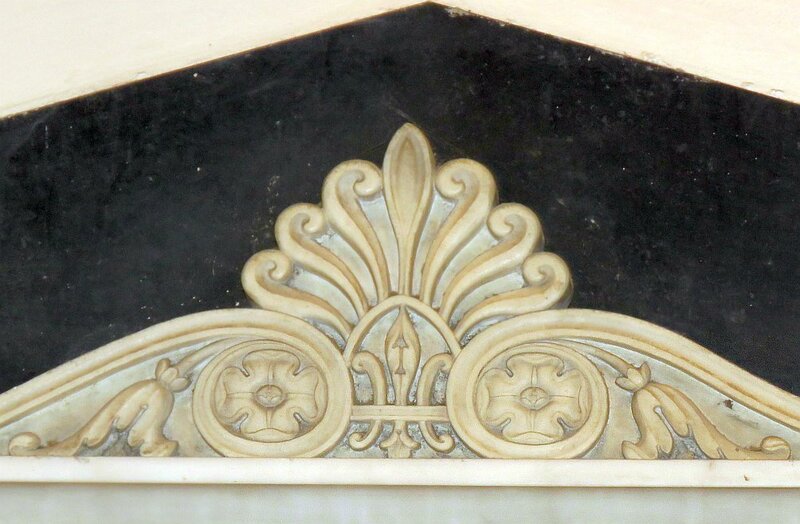 Samuel Colecom is an obscure monumental mason who made relatively simple carved memorials in the popular white-marble-on-black style of the early 19th Century. 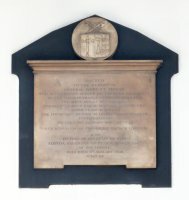 His known works are mostly found in Surrey, including two works (both signed without the first name) in Reigate Church, not far from his home village. As well he has an example each in Marylebone Parish Church in London, and in Petersfield Church, Hampshire. Several members of the Colecom family have their names recorded on headstones in the graveyard of St Katherine’s Church, Merstham – there were two monumental masons called James Colecom, and a William Colecom, described as a marble mason of Clapham, was alive in the early 20th Century, suggesting that Samuel Colecom was one of a dynasty. It may be that some of the works attributed to Samuel Colecom are actually by one of the James Colecoms. 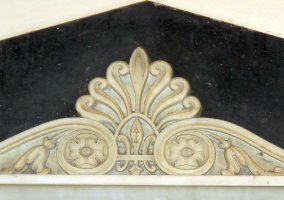 His works which I have seen - only a handful - have been simple panels, with modest carving of scrolls, coats of arms, flowers and a draped pot in relief. His work is of decent standard, and shows a good sense of design, particularly in small stylised flowers. 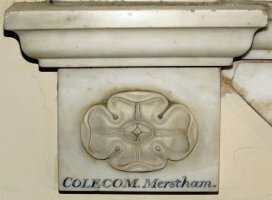 Signature and minor carving by Colecom of Merstham .